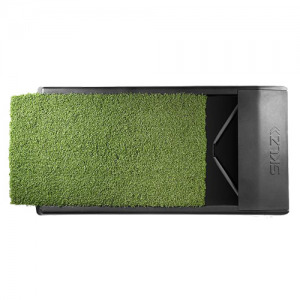 The Glide Pad uses a proprietary sliding mechanism to mimic the feel of making real divots in real grass. The movement of the pad reduces shock and injury as you swing through and gives authentic feedback regarding your shots to provide a more accurate ball flight. It can be used at home or the driving range for indoor and outdoor use. If you have any questions regarding the Sklz Glide Pad Natural Turf Movement Mat, please give us a call, we would be happy to help you with any questions you may have. Write an online review on the Sklz Glide Pad Natural Turf Movement Mat, and share your thoughts with others.